A long way on from the Aston Martin DB5, Bond's attaché case and Odd-Job's bowler hat, we are now being presented with this year's models. The latest collectibles to join the long list of desired items that have appeared in a James Bond movie have arrived – luxury playing cards and poker chip sets! In keeping with the times, Commander Bond gets involved in a high-stakes game of Texas Hold'em Poker in "Casino Royale", the soon-to-be-released James Bond 007 movie spectacular. His weapons of choice – for a short while at least - include a luxurious pack of playing cards manufactured by renowned historical playing card manufacturer, Carta Mundi NV of Belgium. "Our name reflects both a mission and an ambition: to be a world player in the niche market of playing cards. And that is a very wide area to cover - from retail and promotional playing cards and casino cards to cards for games and collectibles." The small Belgian town of Turnhout, situated north of Antwerp, has been a centre of playing card making since the early 19th century. Three of the specialist companies, Brepols, Van Genechten and Biermans, eventually merged in 1970 to combine their knowledge under the name, Carta Mundi. The history of card making leading up to that point can today be seen in the National Playing Card Museum situated in Druivenstraat, Turnhout. Carta Mundi are to produce two separate collectible James Bond "Casino Royale" poker chip sets as well as playing cards. The sets will come as a "Compact" set with 150 chips and a "De Luxe" set containing 200 chips. "As a Belgian company, we are proud that Carta Mundi can contribute to the success of a series so famous as James Bond. 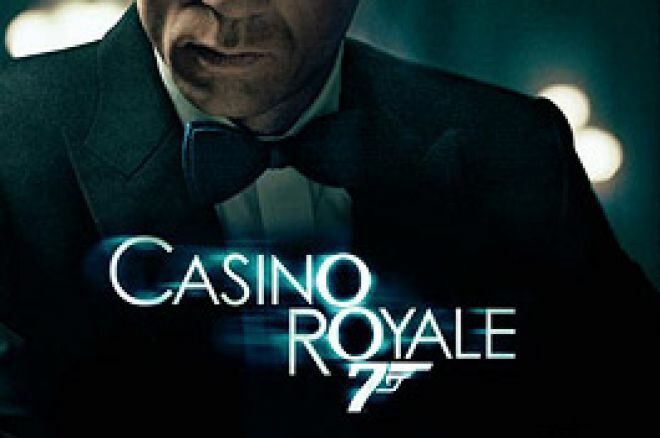 We hope that the publicity generated by Casino Royale will improve the image of Carta Mundi and poker in general."